This is my first review of a set of Bluetooth headphones. So, I wasn't really sure what to expect. When they arrived I did a complete charge, via the included USB cable, and it didn't take very long. 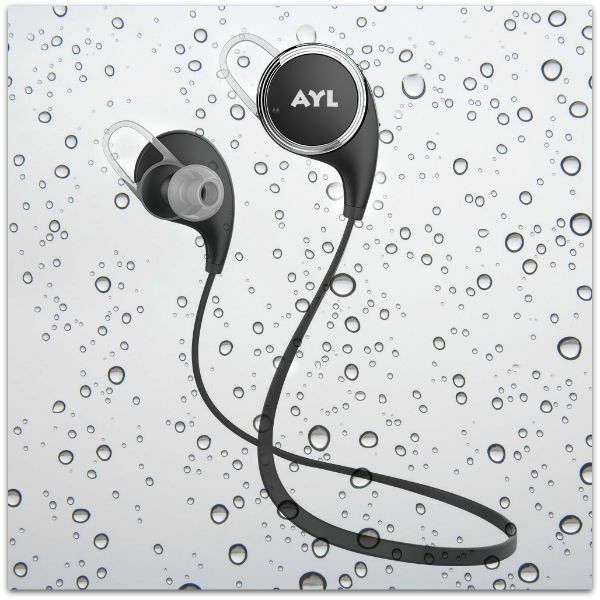 I have to mention that the AYL Bluetooth 4.1 Wireless Sport Headphones ($24.99) arrived in a sturdy box with two compartments that are awesome for storing your headphones or can be reused to store other items. The user manual is very clear and instructions are easy to follow, even if you've never worked a Bluetooth headset before. The earpieces are comfortable too. While we are not overly fond of any product, which keeps you buying a product (disposable earpieces) to keep using it, this does seem the best way to do it in this instance. I bet you’d like to know about the sound quality? The set filters ambient noise and offers us an amazingly clear quality sound for both listening to music and talking phone calls. The polymer 80mAh battery device provides 7 hours of talk & playing time & 175 hours of standby time. You can get your own set of AYL Bluetooth 4.1 Wireless Sport Headphones on Amazon and since someone just swiped my pair, I’m off to do just that!